As the saying goes “Life gets better with age”, but some also swear that age gets better with wine. Living in a wine region can seem like a dream for many wine lovers, but it can easily become a reality in these five overseas retirement destinations—France, Uruguay, Mexico, Italy, and Spain—which offer dreamy surrounds, a relaxed pace of life, and an affordable retirement. Read on to discover these top retirement destinations, where the cost of living is much lower than the U.S., and the wine is great. French wines hold probably the most revered cultural status of all. 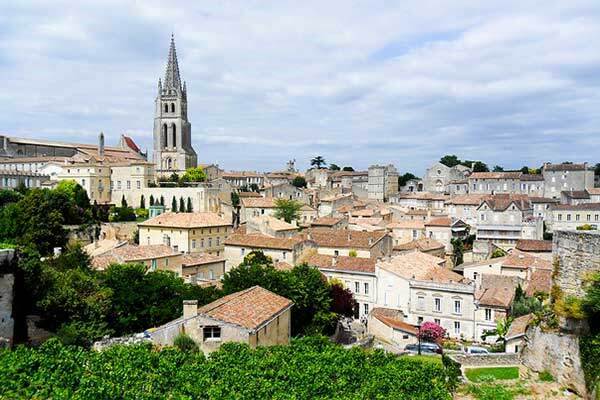 With a history dating back to the Middle Ages, there are 12 major wine-growing regions in France, the most famous being Bordeaux, Burgundy, and Champagne. It’s thanks to France that we have well-known grapes like Chardonnay, Sauvignon Blanc, Cabernet Sauvignon, and Syrah. Bordeaux is a wine-lover’s paradise, with everything from world-famous estates to small cellars barely known outside of France. Situated on the Atlantic coast, Bordeaux is close to over a dozen gorgeous sandy beaches. Paris might be the crown jewel of France, but the city of Bordeaux is a glittering diamond in its own right. Thanks to its beauty and history, much of the city has been designated a UNESCO World Heritage Site. Italians are fiercely proud of their wines. And for good reason; wine is produced in just about every part of the country, with each region claiming for its wines a special taste and character. 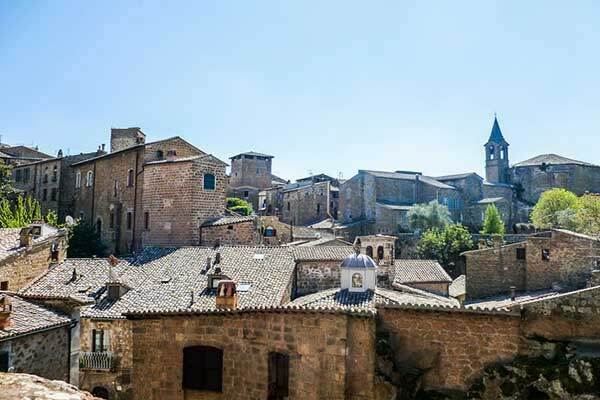 Umbria, the region that lies between Rome and Florence at Italy’s geographic center, has an endless supply of utterly attractive towns and picture-postcard landscapes that seems to encapsulate the best scenery and aspects of Italian life into one land-locked region. Umbria also has a significant expat community, so even small villages have some English-speaking residents to interact with. Yet prices are still more reasonable despite its central location and charming advantages. Although Umbria may not make wines as famous as its neighbour, Tuscany, it’s winemaking can be traced back to the Benedictine monks. The vine-striped hills produce excellent wines—Sagrantino di Montefalco ranks up there among the most noted vintages and Orvieto is perfect for summer enjoyment. Orvieto, a crisp and peachy white wine produced in the town of the same name, is one the better-known Umbrian wines and it accounts for nearly 80% of all DOC wine made here. Except for its lack of a coastline, Umbria offers everything that Tuscany does, but at a much more affordable price point. All told, retirees could have a pretty charming life in Umbria with a budget of around $1,560 a month. Mexico is well known for its tequila and mezcal but Mexico also produces wines that are gaining increasing fame for their high quality. “Mexico’s best-known wine region is northern Baja California, just north of Ensenada and only an hour or so south of the U.S. border,” says Glynna Prentice, International Living Mexico Editor. “Here, in the Valle de Guadalupe and nearby area, more than 100 vineyards dot the landscape, from the oldest winery, Monte Xanic, and large producers like L.A. Cetto, to an increasing number of boutique wineries. “But Baja is not Mexico’s only wine-producing region. 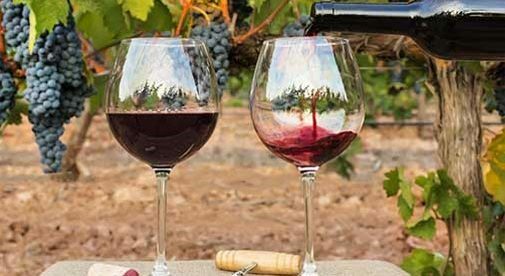 Numerous states in central Mexico, including Aguascalientes, Coahuila, Guanajuato, and Querétaro are also home to wineries. 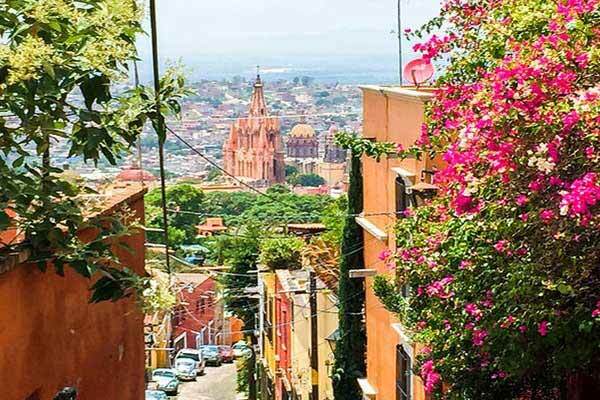 As a retirement haven, San Miguel del Allende offers a lot of benefits: temperate climate, low cost of living, an active expat community, welcoming locals, charming local cultural traditions, and a focus on the arts. A couple can live well on a monthly budget of $1,650 in San Miguel. Spain’s La Rioja province is in the north, set in the Ebro river valley and at the foothills of the Cantabrian Mountains. The wines produced here are considered among the best in Spain, if not in the world. About 85% are reds and come from several grapes, including Tempranillo and Garnacha which are usually blended to create a classic Rioja vino tinto. 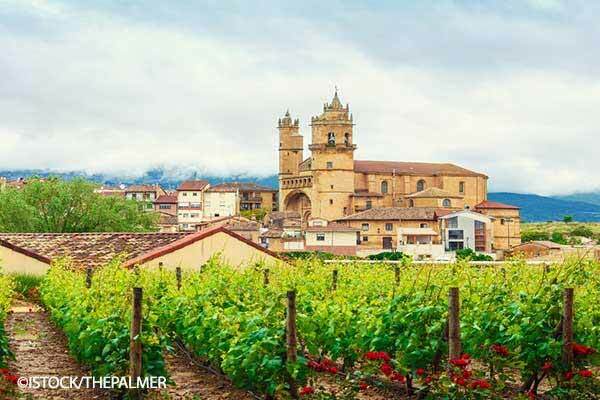 La Rioja is surrounded by scenic green mountains, picturesque vineyards, and Old World monasteries. If your hobby is hiking, there are many trails to follow, including the renowned Camino de Santiago, which curves through Logrono’s backyard Vineyards cover the region. But the wineries, where the grapes are crushed and the new wine is aged in oak barrels, are clustered in Haro and the provincial capital, Logroño. This modern town, with its historic city center, is a great home base for exploring the region’s natural beauty and for sampling wines. And don’t miss the tapas bars on quiet back streets—these snacks are the perfect pairing for a glass of wine. A wonderful reality of living in La Rioja is how much further your money stretches. For around $3 you can buy a nice bottle of wine. For $450, you can rent a furnished, three-bedroom apartment. That means you have enough space for you and your spouse to spread out—with a spare room for guests. Among South America’s wine countries, Uruguay doesn’t get much mainstream attention. And it’s a shame. Because, thanks to a climate and geography that mimics that of France’s Bordeaux region, Uruguay actually produces some very nice, full-bodied wines. The town of Carmelo, about 150 miles from the capital, Montevideo, is one center of wine production. Carmelo is in a rural area, with plenty of open countryside to enjoy. Grape cultivation here includes that of a varietal originally from southwest France that has become Uruguay’s national grape: Tannat. It’s a robust red that pairs nicely with the grilled meat that plays a large role in Uruguayan cuisine. Tannat is also often blended with other varietals for a more mellow taste. 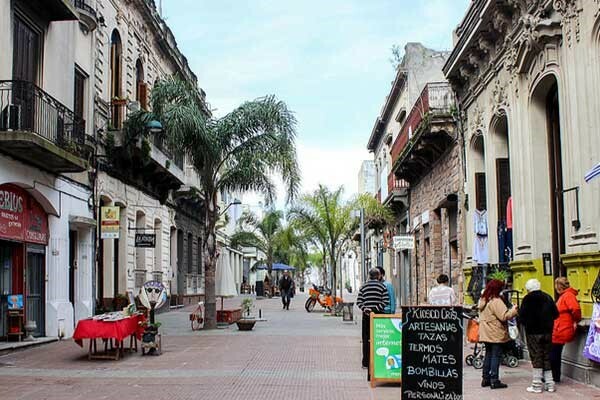 The tranquilo lifestyle attracts expats to Uruguay, especially to the capital Montevideo. Here two people can live on $3,200 a month renting a one-bedroom, furnished apartment in Pocitos, the most popular expat neighborhood in Montevideo. 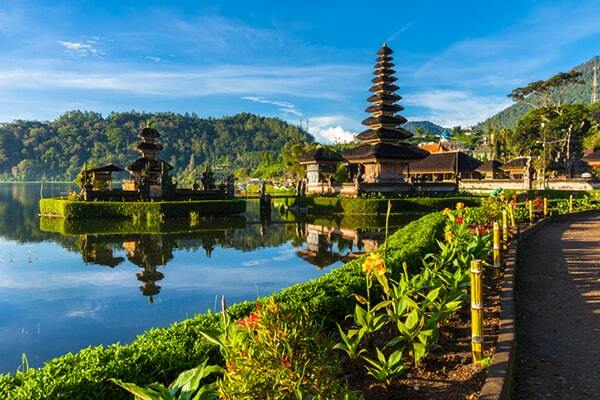 “The island of Bali isn’t known as a world-famous wine destination, but that doesn’t mean you won’t find decent wine produced here,” says International Living’s Bali Correspondent, Josephine Brierley. “In recent years, Bali winemakers have been resourceful, using a mix of local and imported grapes to create fresh, crisp wines which are both appealing and affordable. Since 1994, Hatten wines have been making wine in Bali despite the critics and the tropical climate. Proving a champion, voted by the Asian Wine Review, they were announced the winner of the 2017 Asian Winery of the Year. Their Two Island label produces wines using grapes imported from Australia and vinified in Bali. The vineyard is located close to the popular expat retirement haven, Lovina, on the north of the island—a quiet town known for its laid-back lifestyle. Northern Bali offers ideal conditions for growing grapes due to the rich volcanic soil and dry climate. Here, farmers have been harvesting grapes for over 100 years. “The crisp taste of the Pinot Grigio is extremely pleasant on a hot day,” says Josephine. “While a Reserve Red pairs well with the traditional Indonesian dish of Beef Rendang. The tropical climate of Bali has enticed retirees for many years. Offering a relaxed, simple lifestyle with world-class dining at very affordable prices. Here, retirees can enjoy a comfortable life with a budget of around $1200 a month. “A flourishing wine industry in Thailand? Who would have thought?” says IL’s Thailand Correspondent, Michael Cullen. “Sure, the ‘Old World’ wine regions of Europe and the ‘New World’ wines from California, Argentina, Chile, Australia, and New Zealand take the limelight. Yet, going against this ‘norm’ export quality wines are now produced in commercial volumes in Vietnam, Thailand, and India—with Thailand leading the way. “International wine writer Frank Norel coined the term ‘New Latitude’ wines back in 2003 to describe this new trend. One of Thailand’s most ambitious ventures is Siam Winery, founded by Thai businessman and heir to the Red Bull stable. The entrepreneur is developing Thailand’s wine culture with the Monsoon Valley label high up on the export list. Michael recommends two key regions in Thailand to live close to great vineyards. 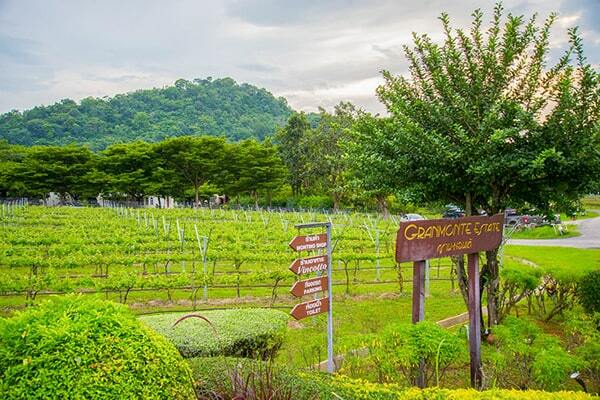 “Khao Yai is just two hours north-west of Thailand’s Capital, Bangkok, and home to GranMonte Vineyard,” he says. “This region is a true foodie and nature-lovers paradise and in my view a ‘must visit’ even without the vineyards. Here, you can rent with outstanding views of Thailand’s oldest and most significant national park in modern, fully furnished apartments for as little as $650 a month.